What Does 15 to Fit Mean Anyway? 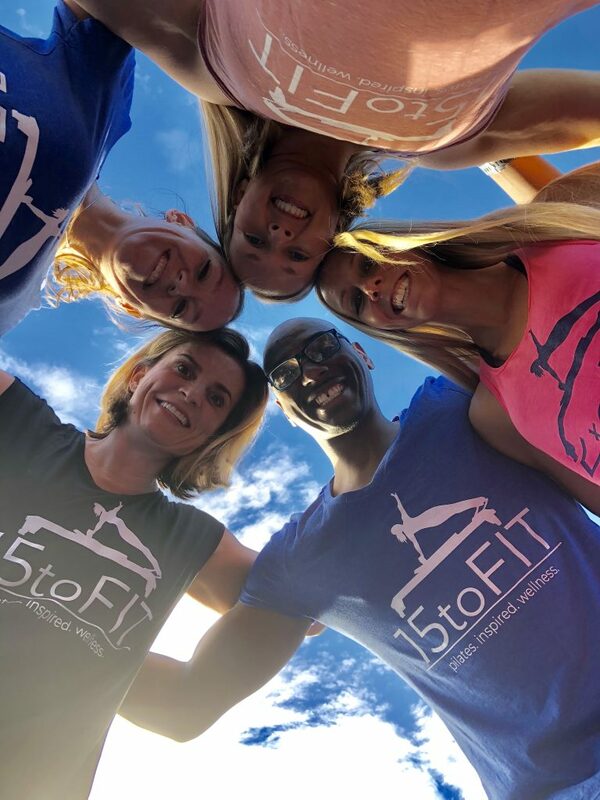 So people are often asking me about my company name “15 to Fit.” What does it mean, how did I come up with this? Well, generally, my name takes into account my philosophy that I will guarantee that if you follow our program for 15 weeks, you will become stronger (especially in those abs!) and more flexible or your money back. In a general sense, 15 weeks to fitness! More specifically, I have started a program I am very excited about called the 15 to Fit Challenge. I have set up a special package including introductory private sessions, individual assessments, and group classes. You will get 45 Pilates Sessions with this Challenge! This is a Wellness Challenge to motivate and commit you to following through with your health goals. Plus you have a chance to WIN $1,000! Attend 2 of 3 of your assessment sessions. It is strongly suggested that you attend the midterm session between Weeks 7 to 9 but to stay in the Challenge you must be assessed at your Start date and your Finish date, 15 weeks later. Attend 3 Pilates classes per week, either group equipment or movement classes. This is an average of 3 classes per week over the 15-week period. This doesn’t mean you can’t attend if you travel or are going on vacation. You just must be able to make up those classes either before you go or after. *There must be at least 12 people entered over the 15 to Fit Challenge Session 2-2011 for the challenge to take place. Session 2- 2011 is defined as the period between January 3- May 23, 2011. Sign up now for this exciting challenge! What if you don’t have a significant amount of weight to lose? You can still enter the challenge and receive assessments and great Pilates sessions at a dramatically reduced rate. It’s going to be a new year; wouldn’t you like to start it off right, dedicating yourself to your own health and well being? If this sounds good to you, sign up here.